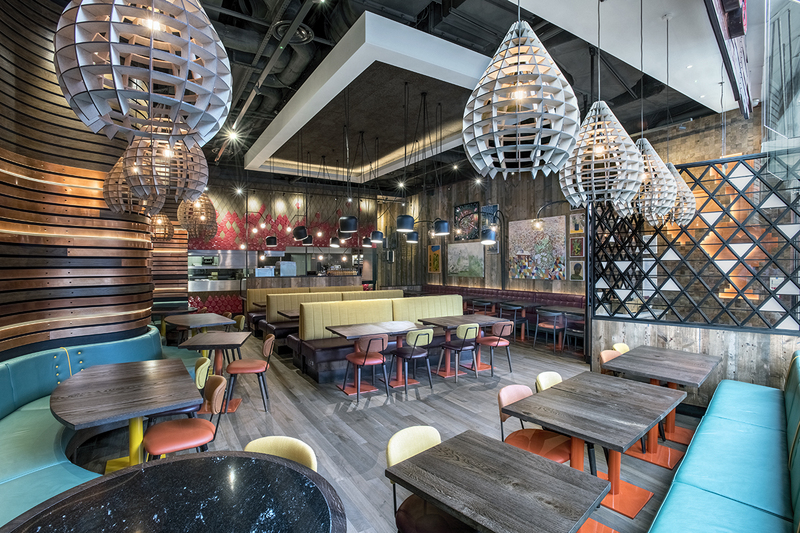 Casual dining is a challenging marketplace and staying relevant is crucial to success. 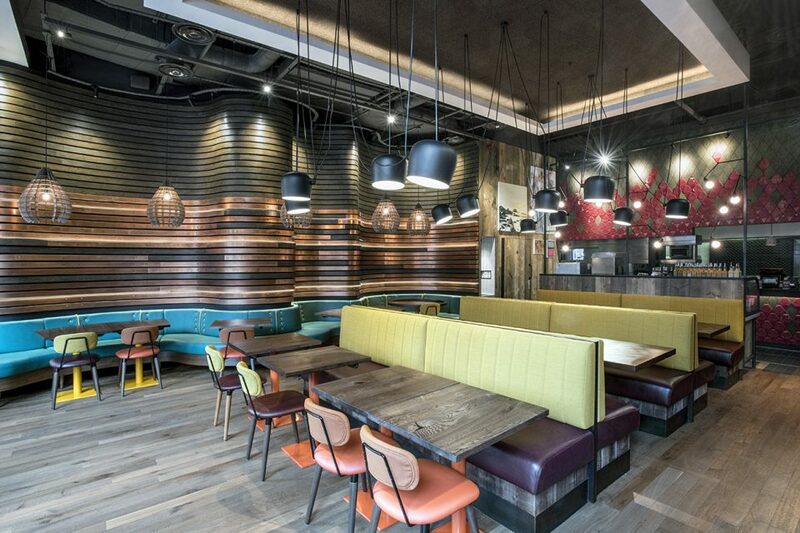 Last year I photographed a number of Nando’s including the Victoria Cardinal Place restaurant as designed by Moreno Masey. 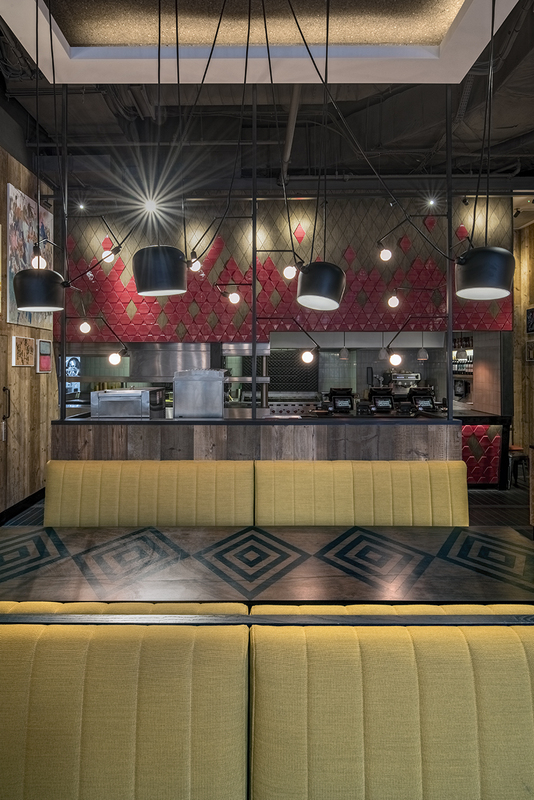 First impressions are important, and when it comes to Nando’s restaurants, lighting is always at the forefront of the concept. 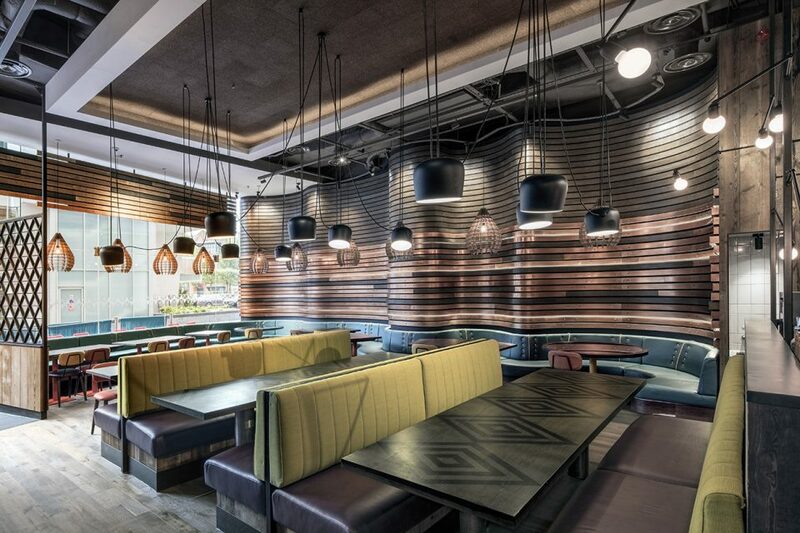 The interior design has to enhance the customers dining experience with several layers of lighting used to meet those requirements. 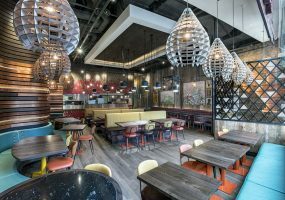 Whether it is daylight or artificial lighting, light draws our attention to textures, colours and forms of a space, helping the design of a space achieve its true purpose. 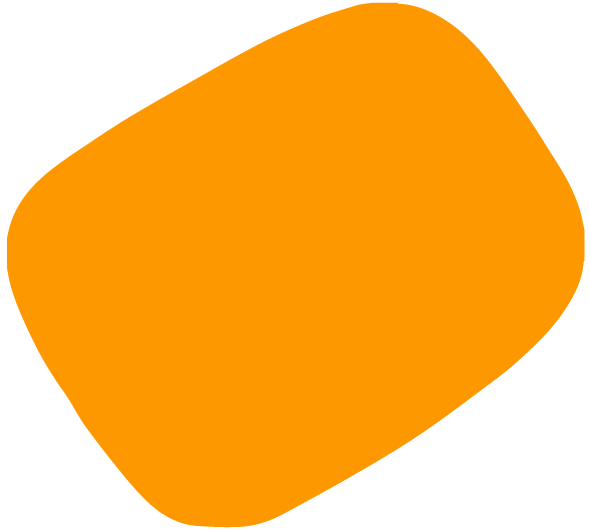 Vision is the single most important sense through which we enjoy the space we occupy, and lighting enhances the way we perceive that space even more. 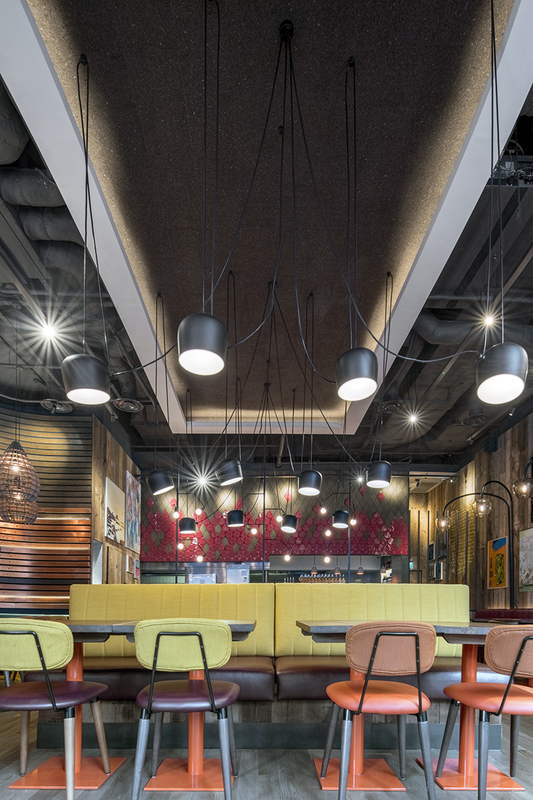 Victoria Cardinal Place Nando’s is a master class in lighting, utilising the natural light at the front whilst maintaining this with ambient lighting in the stripped back ceiling. 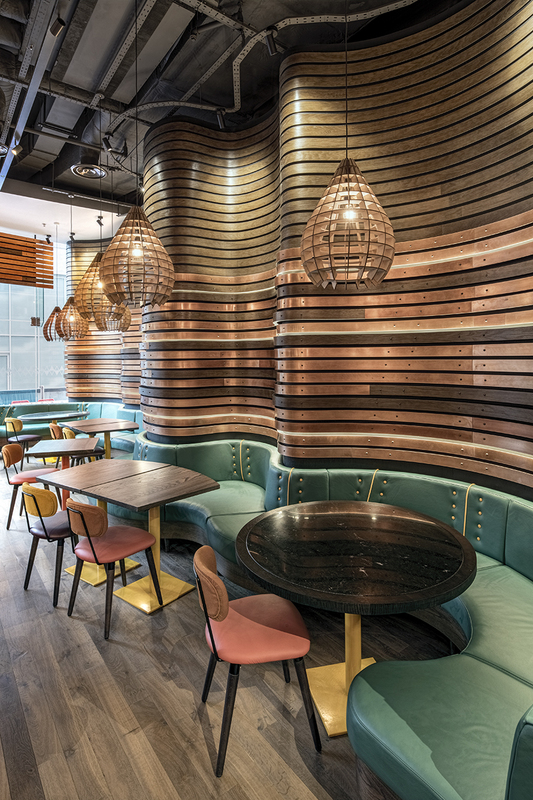 There are feature pendants above the various booths and lose tables which circle the restaurant, task lighting around the drinks and condiment unit, and architectural lighting built into the ceiling plus feature “wave” wall. Central to the restaurants lighting are the Aim Lamps by Ronan and Erwan Bouroullec for Flos. These minimalist industrial suspension lamps create a tangle of wires to produce an organic feel to them. 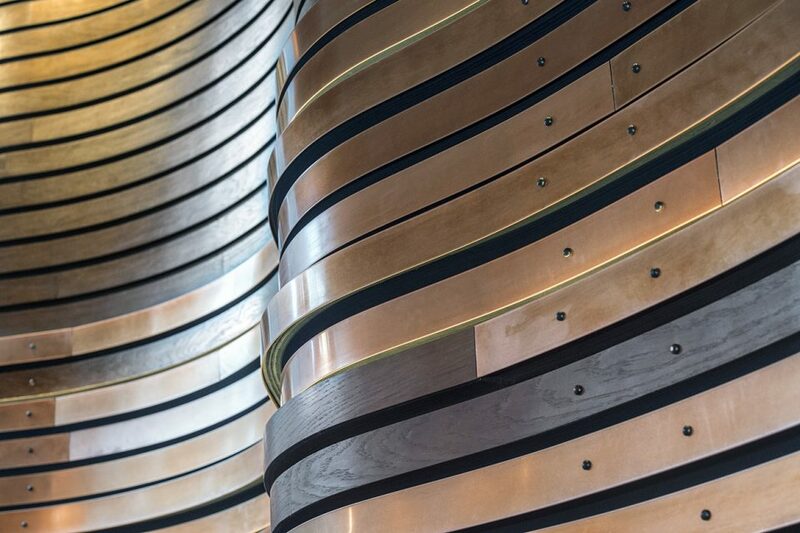 This is echoed in the feature metal and wooden “wave wall”. 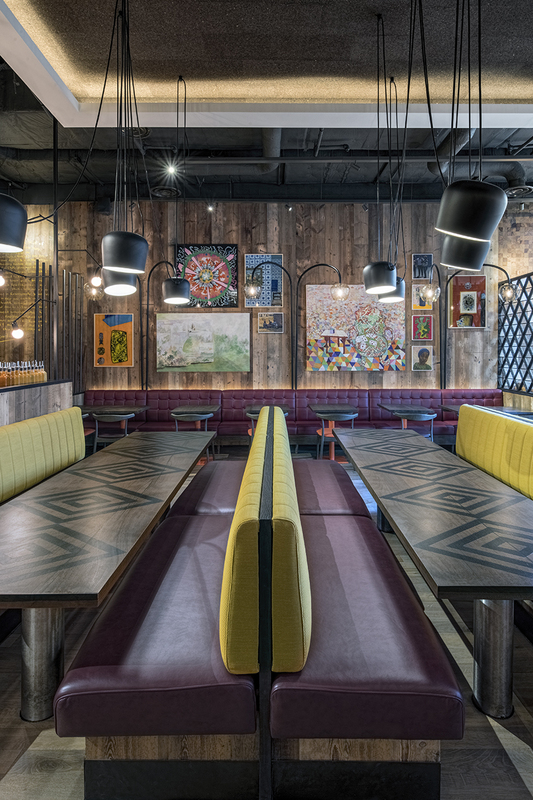 There are bold flashes of colour in upholstery, table legs, artwork and servery tiles. 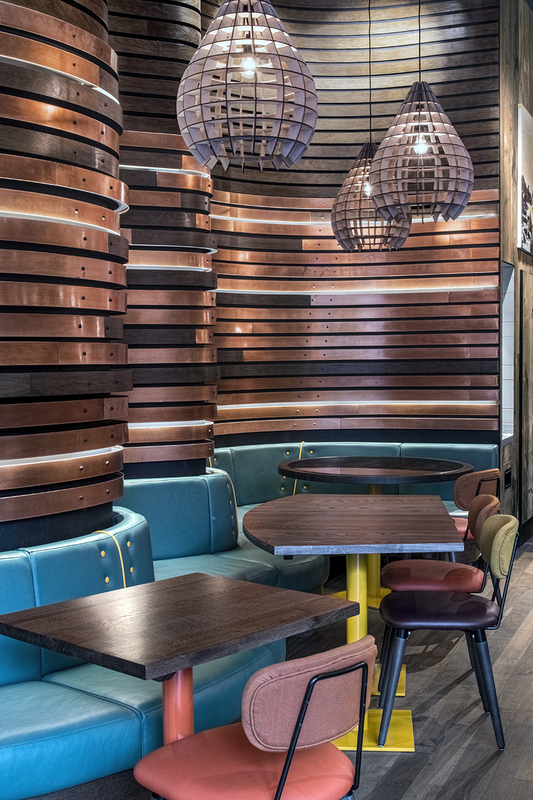 The furniture is a mixture of lose tables and booths which hug the feature wall. Even the Nando’s sign is a minecraft ‘esqe wooden block cockerel which is back lit from within. I’m going to add a special thanks to my youngest son for being my assistant on the day!